Our sweet Kate turned 10 months old last week. When I took her pictures I couldn't believe how much she looked like the twins. Most people say she looks just like Brooke but I do see a lot of Parker... who do you think she looks like? She finally has gotten her two bottom teeth which helps her actually chew her food instead of swallowing it whole. The girl likes to eat everything in sight, by far my best eater. If there is nothing on her tray then she is fussing until she gets more. She now eats everything we eat and sometimes more. Her favorite is any carbs she can get her hands on, gone in a few seconds flat. so she's really not a picky eater at all! If she's not paying attention then she will stand on her own for a few seconds. She loves to hold on to your fingers while she walks, defiantly hit the stage of wanting to be on the go. just so sweet. 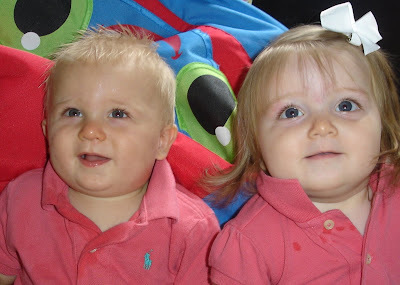 It was fun to take their pictures in the same outfits at 10 months. Gotta love Brooke's cheese in this picture. Wow, God has blessed me with some cute kids! Lord help me to savior every precious moment of cuteness because before I know it ... it will be gone! 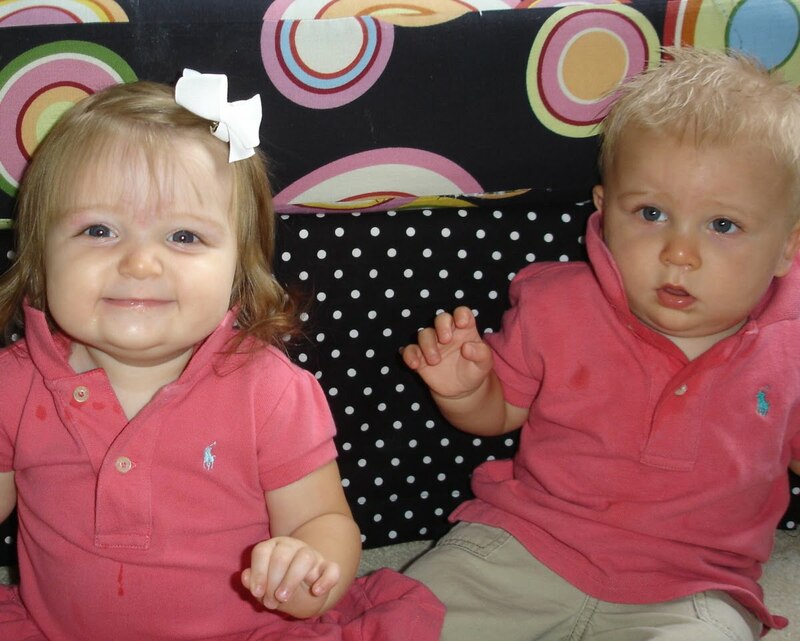 I think Miss Kate looks like both Parker and Brooke. I love these pics. I miss them so much!